The apartment Niki located on the Rogla ski slopes in the area of Maribor. The estate consists a hallway, living room, kitchen, dining room, bedroom and bathroom with toilet with a total area of 50 sqm. The kitchen and living room are modern furnished. In the living room there is a sitting area, with the possibility to fold out the bench to a bed for 2 persons, a TV and a fireplace. In the bedroom is a bunk bed and a queen size bed. The apartment is suitable for 4 - 6 people (4 + 2). The apartment building is located in the centre of the town of Mozirje. There are four family apartments available and are suitable for 4 to 6 people. From these 2 beautiful apartments (Tamara and Matej) you have easy access to the gondola that brings you to the winter sports paradise of GOLTE and its alpine gardens. In the summer this is a magnificent area for hikers and lovers of nature. There are 5 beds per apartment (can be up to 7). Price from €250 for 4 people per week (€ 50,- extra for fifth person). For summer and winter. Our newly built holiday home can accommodate 6 people in 3 double bedrooms. The house is located in a very peaceful setting in the Menina mountain range. It has a modern kitchen, bathroom, large living/dining area, sauna and and extra dining room with terrace. Around the house there is loads of own terrain where you can roam freely. Prices from €420 excl. end cleaning, bed and bath linen. Tourist tax is not included. Eko-Holiday home "Rajski Koticek GOSTECE" for 4 people. Very quietly located in the mountains with original but modern interior. Partly furnished with antiques and with modern aspects like a sauna. Beautiful holiday home in a fabulous location with stunning views across the valley. 4- people. Detached Holiday home for 4 people in the village of Spondnja Recica, Slovenia. Read more about Holiday home . A detached house located in the forest for maximum 6 guests on a quiet sunny spot near the Radmirje village in Savinjadal. Holiday home in the vineyards for 3 people. Spacious living-dining room with air conditioner, 1 large bedroom, sofa-bed in the living room, bathroom with bath, terrace, kids bed at request.Price from €280 for a week. Owner speaks english. A quiet holiday home for 2-7 persons with 3 bedrooms, located in the mountains. A great location for nature and peace lovers. For summer and winter holidays. Another holiday home for 5 people available at the same location. Free holiday home with large playground in the Savinski Alps at the village of Luce overlooking the Alps-Forests and the Savinja River. Max. 5 people including linen package. Romantic holiday home Rudi, with 2 bedrooms for 5 people, with sauna and covered terrace. Located in the mountains, near the town of Luce. Two kilometers from the village of Recica ob Savinji lies this holiday home on a sunny hill. Fits 7 people. From € 350 p.w. Cozy apartment for max 6 people. It is on the Savinja river and has a big balcony and a sauna. Idyllic holiday home at the foot of the Slovene alps for 8 people with a spectacular view. This house has 4 bedrooms, living room, kitchen and 2 bathrooms. Ideal for summer and winter holidays. Price from € 350 for a week. Holiday cottage for 4 people in the village Ljubno. Lovely quiet location with a fantastic view from an original Slovenian house. 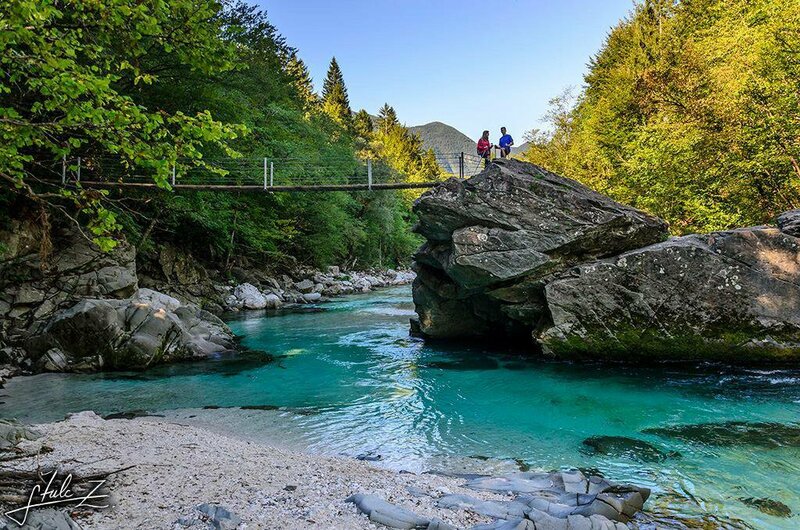 Great starting point for exploring the Savinja Valley. Holiday home ZAN. Secluded and sunny luxurious holiday home situated on a small plateau for max.8 persons including all linens. Pets allowed. Luxurious holiday villa with swimming pool at the edge of the village of Mozirje. Suitable for 6 people, summer and winter. Includes 2 bathrooms, spacious garden with terrace and a carport. Situated in a small village Ljubija near Mozirje. Family House has a garden, free Wi-Fi, two kitchens, Two bathrooms and three bedrooms and free parking lot. All units at the property have a balcony with forest garden view. A former lumberjack's hut situated in the forested mountain with Sauna and B.B.Q space. This hut is ideal for those who seek peace & quiet and want to enjoy the flora and fauna of the Slovene Alps. Max 4 people. Completely renovated lumberjack mountain hut in the forest, between the towns of Gornji Grad and Kamnik. For 2-10 people. Also ideal for 2 separate families. It has 2 terraces and 2 barbecues. Mooie appartementen 4 en 6 persoons in de bergen en bossen bij het plaatsje Nova Stifta mooi uitzicht rondom over het Dreta dal. Veel privacy per app.